Chiara Diana is Creative Director and Experience Strategy lead at frog, a global design consultancy and innovation strategy firm. 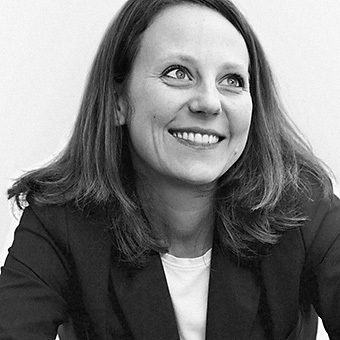 Designer by education, Chiara has deep expertise in communication, interactive and service design, with a focus on solutions that span complex product-service systems, across sectors. Bringing 15+ years of experience across the public and private sectors, she helps organizations identify opportunities at the crossroads of unmet user needs, transforming technologies and evolving competition, and translate those into solutions ecosystem that can ultimately contribute to advance human experience. She recently worked with: UBS, Huawei, Sky, Novartis and GE. Chiara is European lead of frog Social Impact, working with international NGOs and institutions, such as UNICEF, WHO and GSMA, facilitating complex multi-partner interactions, to accelerate social innovation and grow capacities at scale, for addressing the needs of underserved communities across the globe. Chiara is an adjunct professor at the Politecnico di Milano. Across the world, humanitarian organisations are under pressure due to increasing numbers of disaster management responses. As a result, they must find new ways to scale up their impact. The American Red Cross partnered with frog to explore the application of IoT interventions in urban slums. This project focused on connected heat sensors that reduce the frequency and devastation of shack fires in urban slums. With the use of community-centric design ideas were generated and alternatives evaluated alongside local community members by iteratively building on the previous phase in order to give form to the service system and business model. This case study will cover the service design process, the challenges in this unique market creation scenario, the results, as well as the lessons learned.